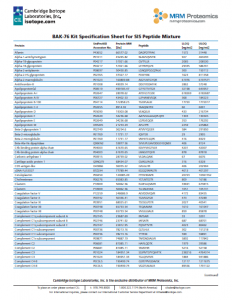 Researchers in academia and life science industries continue to adopt a targeted, bottom-up MS-based proteomic workflow for biomarker discovery and validation. 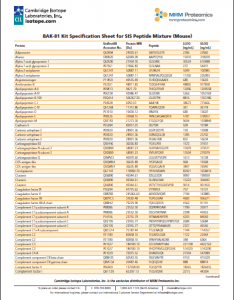 Biomarker validation requires absolute quantification of surrogate peptides in the sample matrix, a requirement that is best achieved using stable isotope-enriched peptide internal standards (SIS). 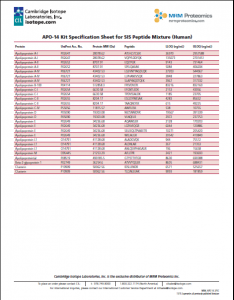 Although the use of SIS has increased the reliability of LC-MRM/MS-based assays, optimal results require properly functioning equipment and a workflow with minimal human error and bias. 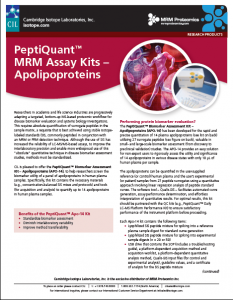 To help researchers establish a stable LC-MRM/MS platform for bottom-up quantitative proteomics, Cambridge Isotope Laboratories, Inc. is pleased to offer PeptiQuant™ kits from MRM Proteomics Inc. 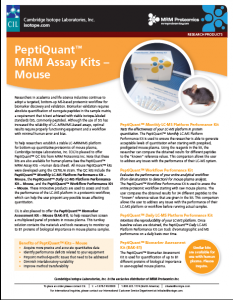 These kits include the PeptiQuant™ Monthly LC-MS Platform Performance Kit, the PeptiQuant™ Daily LC-MS Platform Performance Kit, and the PeptiQuant™ Workflow Performance Kit. 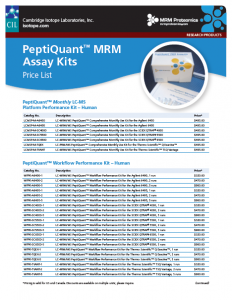 These innovative products are used to assess and track LC-MS performance of the LC-MS platform in a proteomic workflow in order to highlight any possible issues affecting quantitation. 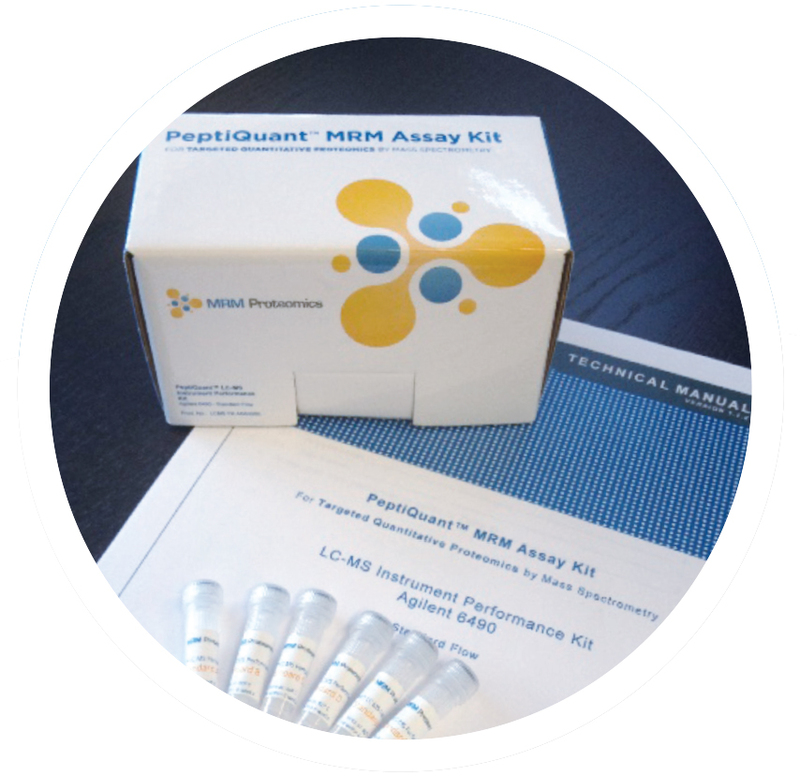 CIL is also pleased to offer the PeptiQuant™ Biomarker Assessment Kit (BAK-76), to help researchers monitor multiple key proteins in human plasma. 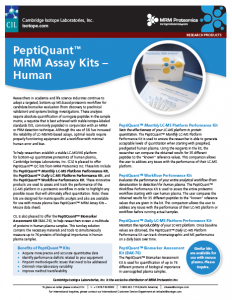 This turnkey solution contains the reagents and software tools to simultaneously measure up to 76 proteins of biological importance in a sample of human plasma.